Joining MarViva on an expedition to the Costa Rican Thermal Dome, a Mission Blue Hope Spot, we documented scientific research in the service of conservation. 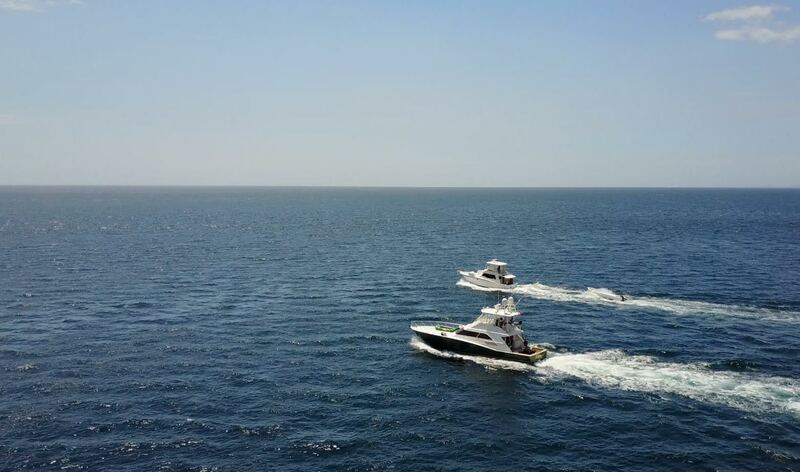 The Mission Blue team worked in the water and on board the two expedition vessels to document science such as the tagging and release of sharks and turtles. The trip was spearheaded by our outstanding partners at MarViva, a regional non-profit that is actively documenting biodiversity and human uses in the Dome and making the case for a regional management scheme for the Dome. Their work is a guiding light for marine conservation in the region and this expedition helped bolster their case for greater conservation of the Dome. In short, MarViva is putting the “Hope” in this “Hope Spot”. To scientists, the Costa Rica Thermal Dome is known as a “shoaling thermocline”. 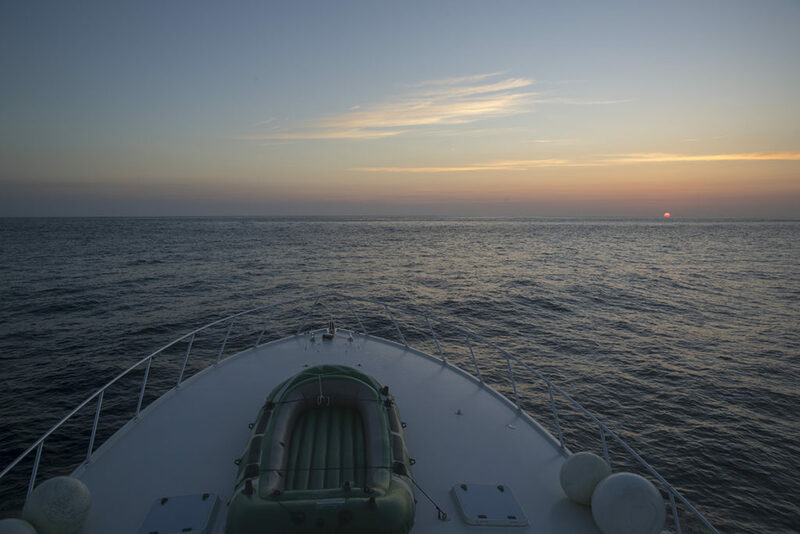 When we asked Dr. David Johnson, who joined the expedition from the Global Ocean Biodiversity Initiative (GOBI), just what this meant, he used the metaphor of an egg: the Dome is an ovate mass of cold water that upwells off the western coast of Costa Rica. The wind whips the tip of the egg off at the surface and exposes this contained mass of cold, nutrient rich water. The deep upwelling attracts zooplankton and phytoplankton, which in turn stimulates the entire food chain including all sizes of marine life up to the blue whale, the largest animal known to have ever existed. When we pressed Dr. Johnson for an even simpler description, he graciously explained, “the Dome is like happy hour for blue whales, sharks, rays, dolphins and other marine life.” Got it! While establishing any conservation meassures is a challenge, the Dome presents an especially difficult proposition since its diameter and position changes year to year and during a characteristic annual cycle. The Dome is born in Costa Rica, but it also bathes the waters of Nicaragua, El Salvador, Guatemala and even Mexico, but also in the high seas. Not only that, but the animals that frequent the Dome come from the entire region and even further afield. So how do you conserve an ocean environment that moves, fluctuates in size, exists in multiple national and international jurisdictions, and supports some animals that migrate from thousands of miles away? The key to consensus building around conservation imperative of the Dome is science — and there was plenty of that afoot on this expedition. 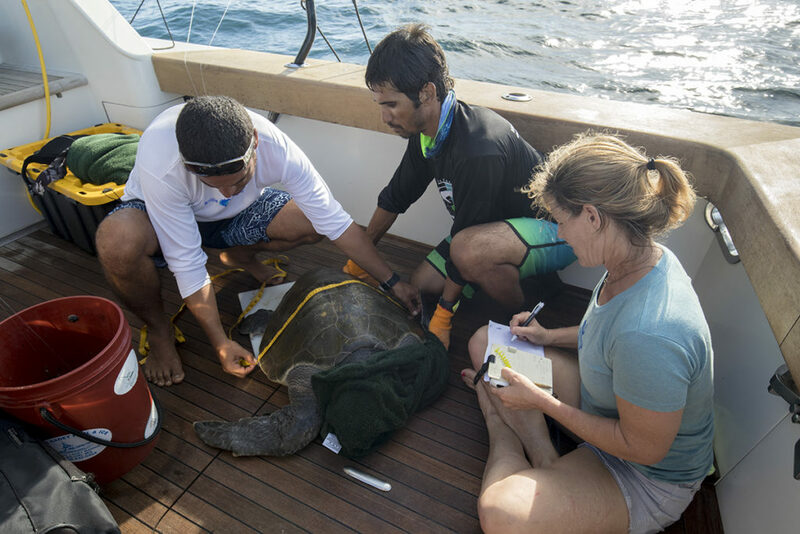 Dr. Yonat Swimmer, a NOAA scientist, who has been working alongside Erick and MarViva for the last year brought extensive knowledge about tracking animals in the open ocean. She also brought some high-tech wildlife tags that transmit information, like location and water temperature, directly to a satellite. Imagine that. Tag a turtle in Costa Rica and then watch where it goes from your desk in Los Angeles over a cup of coffee. Very cool. 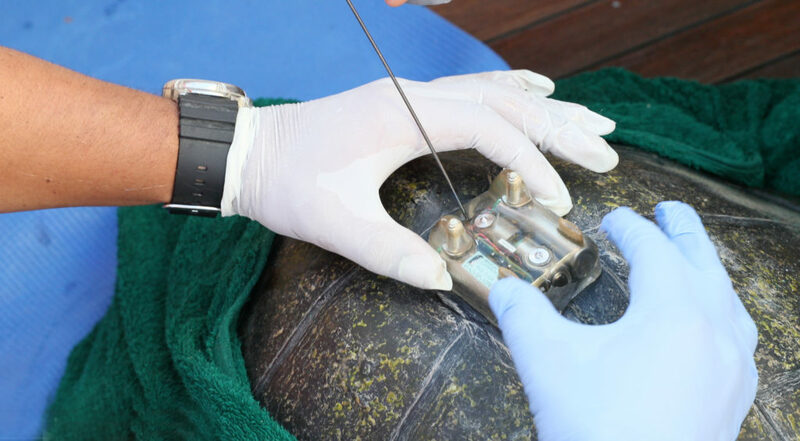 Luckily, we came across three olive ridley turtles, two of them tagged with satellite transmiters, we will keep you updated on the movements of Miah and Iker! Marine Biologist Andrés López Garro from Misión Tiburón Costa Rica, provided expertise on shark populations in the region. 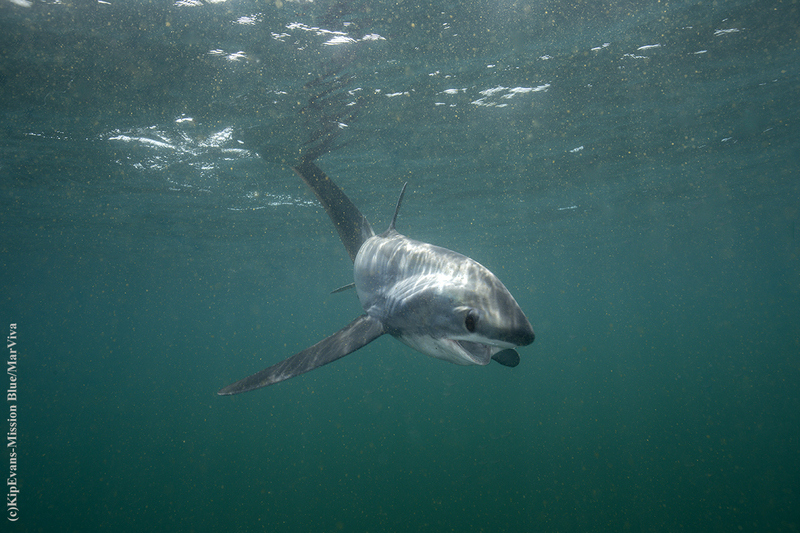 He tagged two silky sharks thanks to collaboration from a longline fishing vessel that was spotted during the expedition; as well as two thresher sharks that were caught and released by the crew members from the Typhoon, one of the vessels participating in the expedition. Also on the trip were marine science students from the University of Costa Rica and the National University of Costa Rica. They were studying the composition of the cold upwellings at the Dome by sampling the water in two ways. 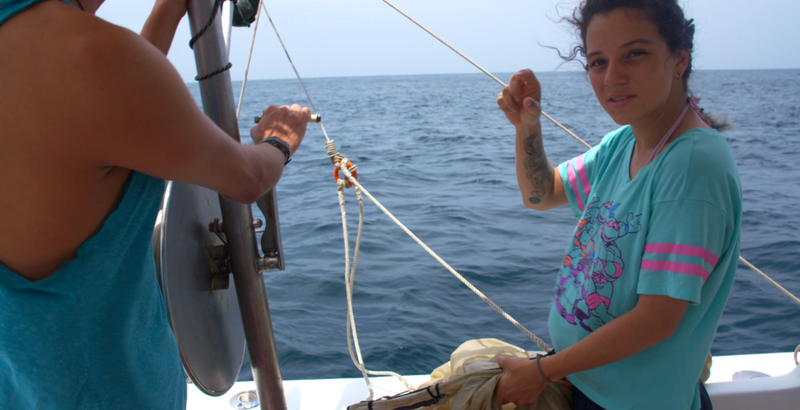 First, they deployed a zooplankton net to 80 meters and pulled up samples in myriad locations. 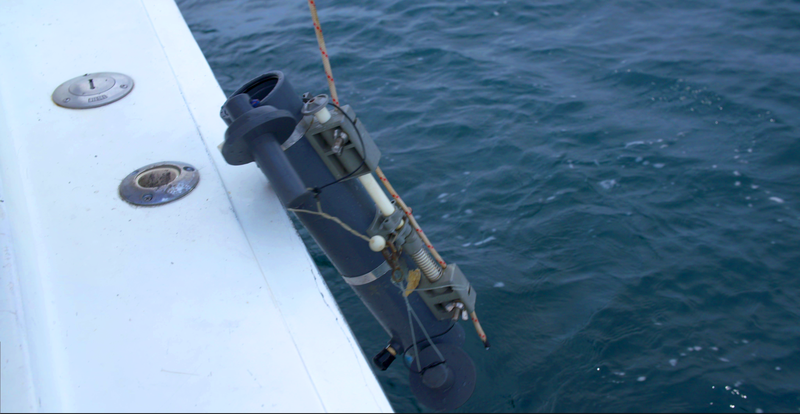 A second collection process involved the niskin bottle, an ingenious device that can be deployed at any depth to capture a sample from that specific part of the water column. 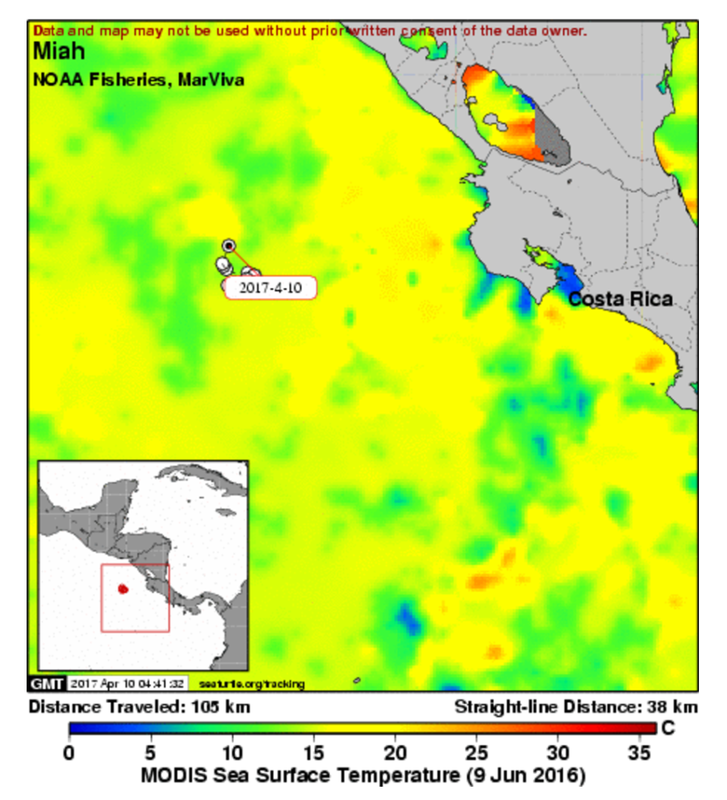 The result of these two collection methods will be a variety of geo-located zooplankton and phytoplankton profiles in the Dome that can be compared and contrasted to other ocean regions, especially those along the coast of Costa Rica. Human impacts like fishing or shipping are visible in the Dome, but some impacts are chronic and invisible like the scourge of plastic pollution. Dr. David Johnson, GOBI project coordinator, collected a variety of water samples to assess the presence of microplastics and nanoplastics in the water column. While he hasn’t analyzed the samples yet, it is unfortunately likely he’ll find plastic because it has become nearly omnipresent across the entire global ocean. “My plan on this trip is to use and work with the University Costa Rica and the National University of Costa Rica students to see whether we can substantiate whether plastic is in this environment and then move to do something about it.” To that end, David reported that he is a strong proponent, just like Erick, of attaining a UNEP Regional Seas Programme for the Costa Rica Thermal Dome. The expedition also included a trained marine mammal observer from Fundación Keto Costa Rica, who identified pan-tropical spotted dolphin, bottlenose dolphins and beaked whales. Notoriously skittish, the beaked whales took off for the horizon before he could accurately identify the species, but further analysis of the spray from the whales’ blowholes will likely yield results. While we all had high hopes for spotting blue whales, none were observed on this specific journey to the Costa Rican Thermal Dome. The experts on board surmised that the water temperature was slightly too high for their presence, and blue whales had likely been active in the region the week prior when the upwelling was more prominently articulated at the surface. The expedition team returned to port with a rich trove of scientific information that will help substantiate the ecological and biological significance of the Costa Rica Thermal Dome. With MarViva leading the charge, a growing body of evidence will help drive policy and international conservation initiatives that can make a real difference for the profusion of life that gathers at the Dome.